Carmarthenshire Fungi: Tuesday at the Botanical Gardens. 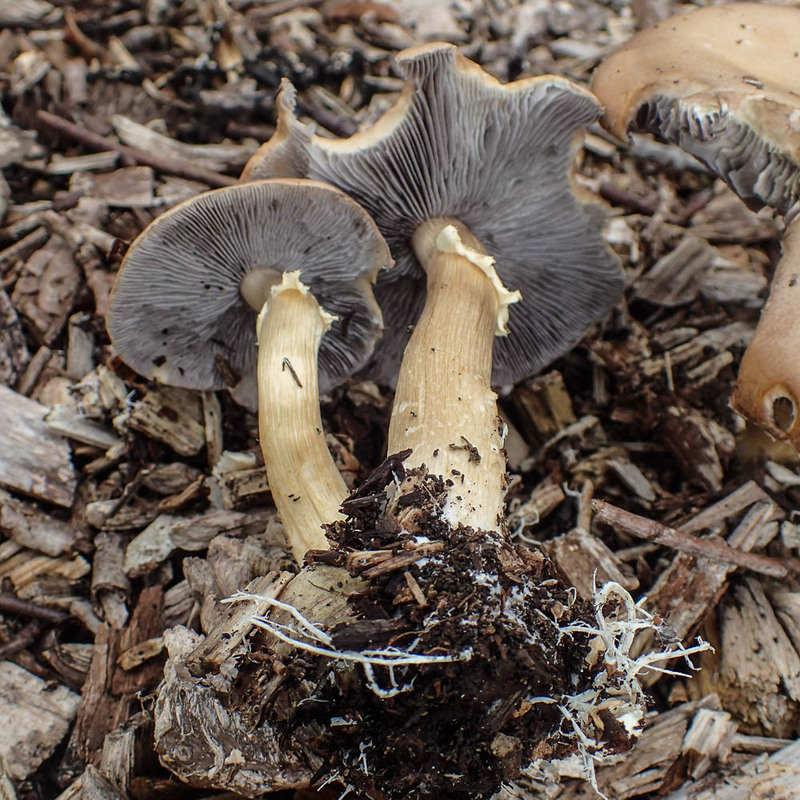 Tuesday at the Botanical Gardens. 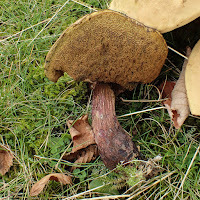 Some of the volunteers took a stroll up Waun Las yesterday, looking for waxcaps but with little success. However walking back for lunch things started looking up. 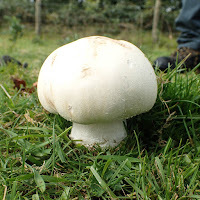 Firstly a large agaricus was spotted - didn't pick it for checking in the hope it may still be there for Fungus Day, but presume it was Agaricus urinascens, with its huge spores as it was in the same place last year. 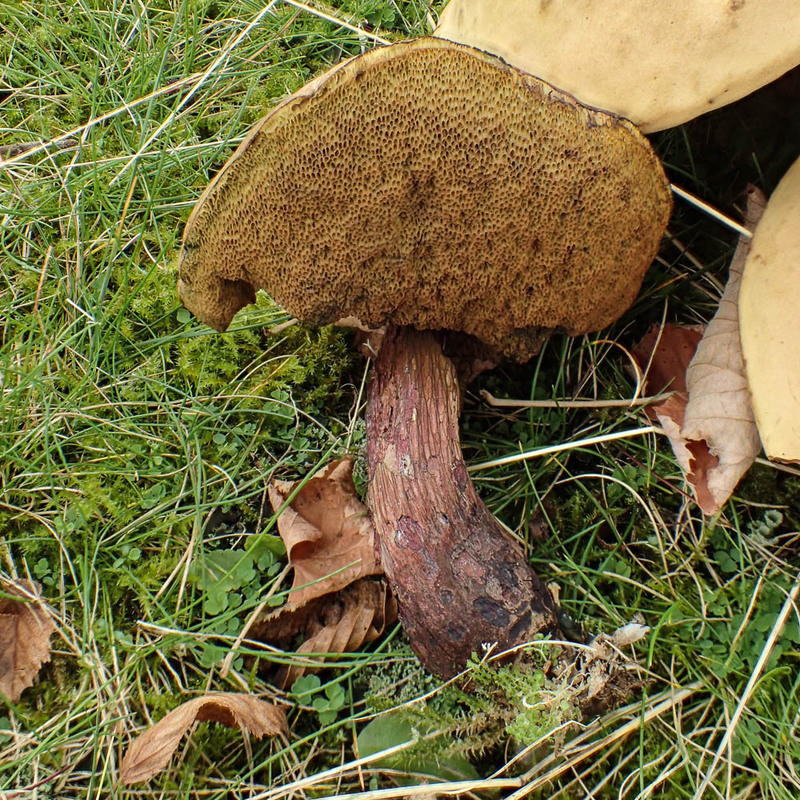 The car-park gave us a large troop of Boletes with red stems, which seemed to key out as Boletus calopus and a mass of Stropharia rugosoannulata, a very recent migrant to Wales, which has arrived with the wood-chip used in the gardens. 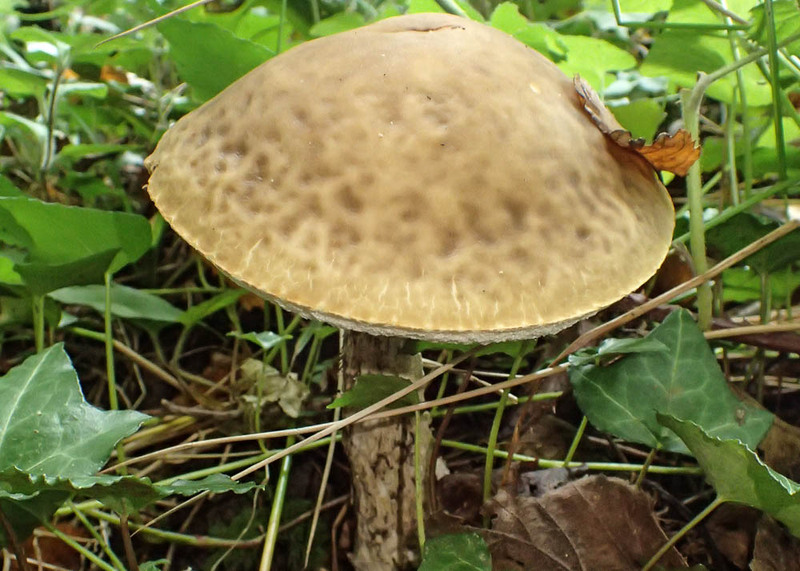 Peter, our intrepid scout then led us into Trawscoed woods to inspect his finds of last weekend, which included another Bolete, which keyed out as Leccinum pseudoscabrum, Amethyst Deceiver, Chantrelle - the forked "gills" were inconclusive but it had very large basidia. 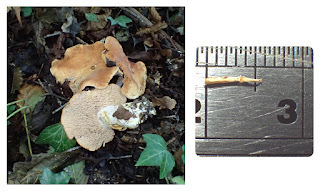 The "Hedgehog" mushroom was also inconclusive as regards the arrangement of spines but, as the cap measured 7.5 cms and the spines were 6mm rather than 4mm, it would perhaps tend to favour Hydum repandum. There were also a number of smaller mushrooms that never made it onto the identified list. 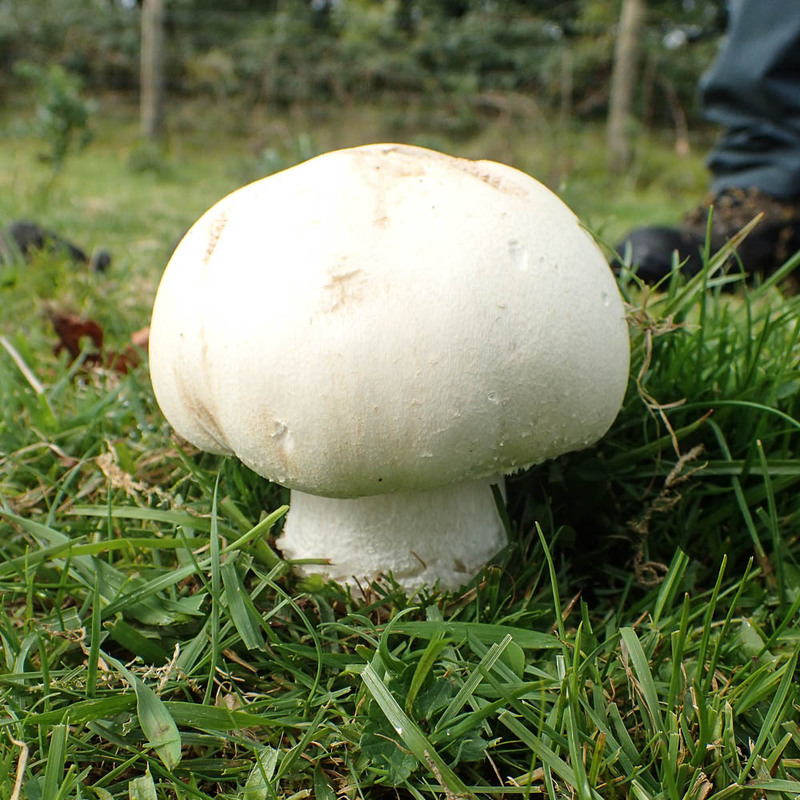 As Peter said, with Fungus Day coming, hope they haven't all arrived to soon!